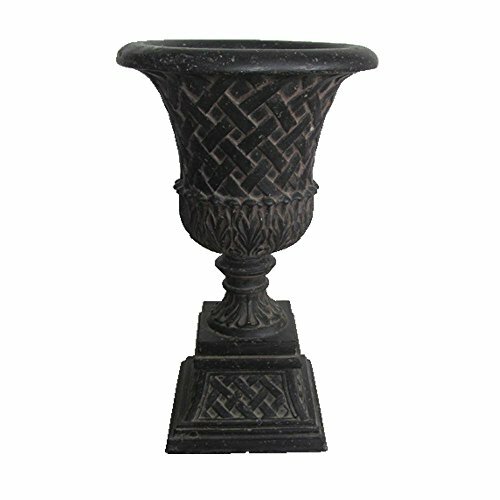 This exclusive Estate Urn is rich in detail with its lattice body and square pedestal base. Use it by itself for a strong statement piece or as a pair flanking the entryway to your home or garden. Constructed of a blend of natural stone, resin and fiberglass, the planter is lightweight, watertight and weather resistant. The 85% crushed natural outer stone surface ages to a beautiful time worn, old world hue as it weathers. If you have any questions about this product by MPG Sport, contact us by completing and submitting the form below. If you are looking for a specif part number, please include it with your message.